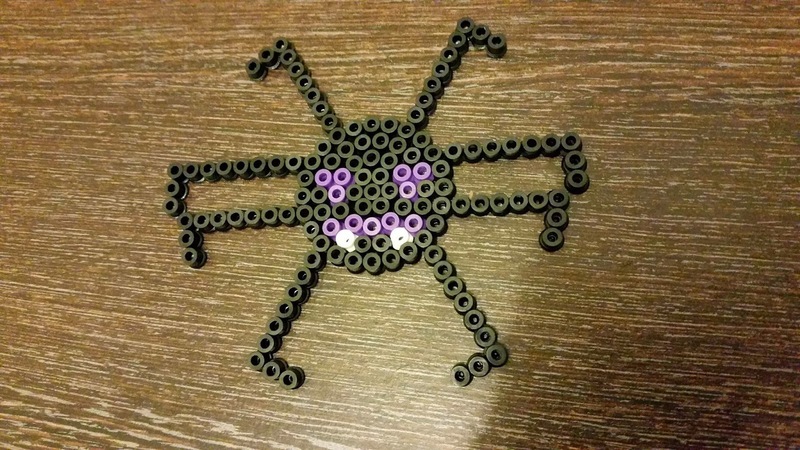 My kids love Hama Beads and this year we are planning a little family Halloween party. 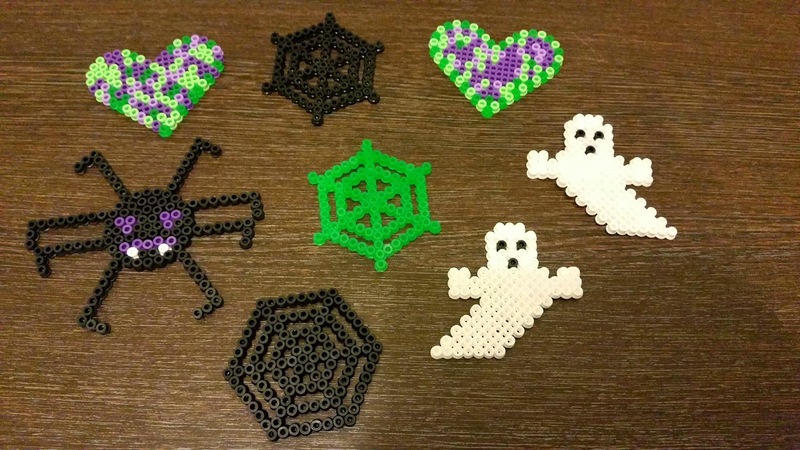 Of course you can't have a Halloween party without decorations and so we decided to make some of our own quick and easy decorations using Hama Beads. 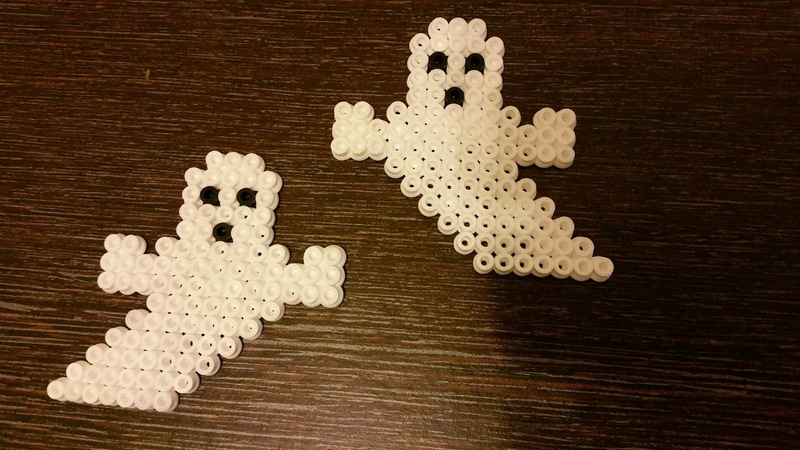 In case anyone was thinking of trying some easy Halloween crafts I thought I would share pictures of how we did them. 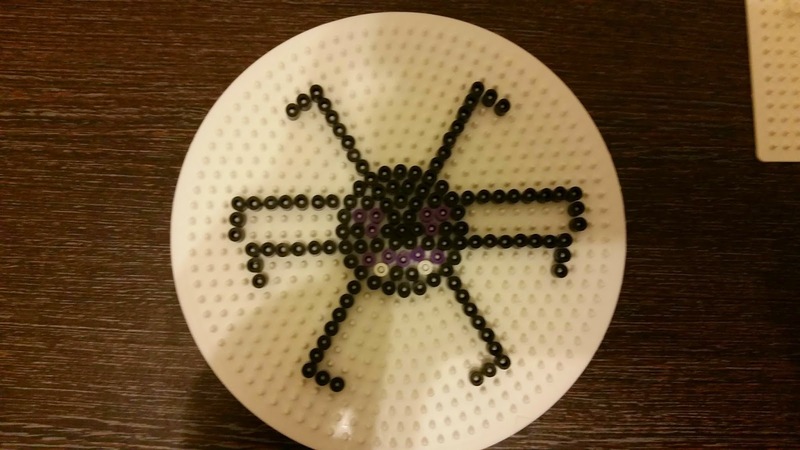 Easy but fragile, the spider would make a great hanging decoration out of reach of the kids as the legs will be easily broken! You can change the colour of the eyes, Gracie chose purple and we decided to give him some teeth to make him all the more creepy. 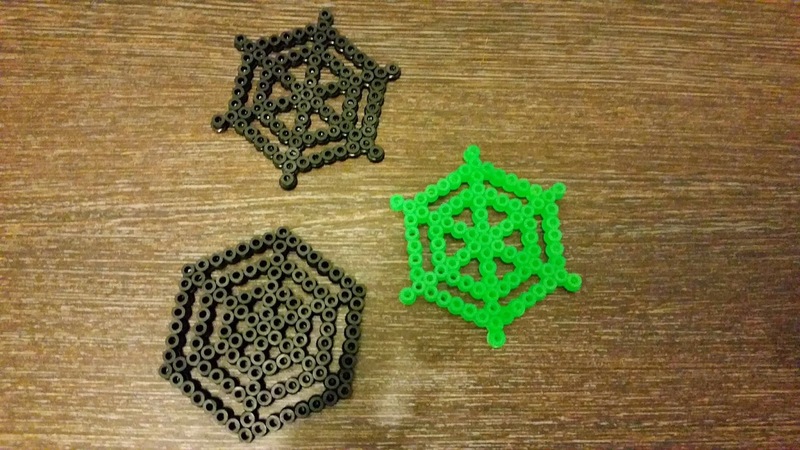 Cobwebs are really easy to make in all different shapes and sizes. 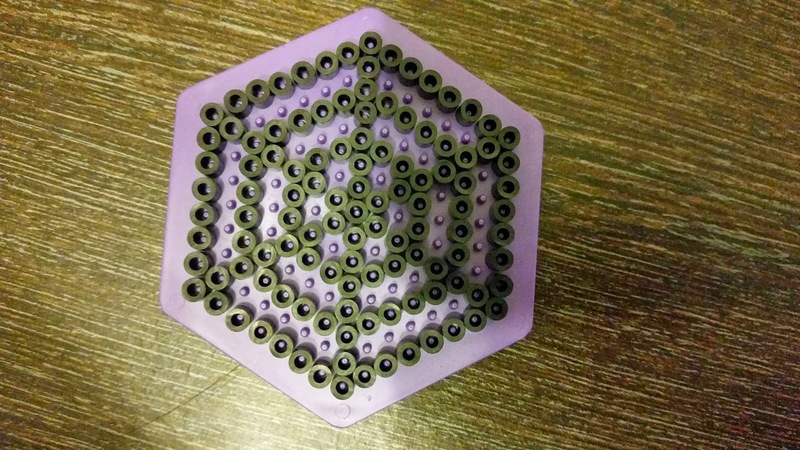 Also great to use as Halloween Coasters! 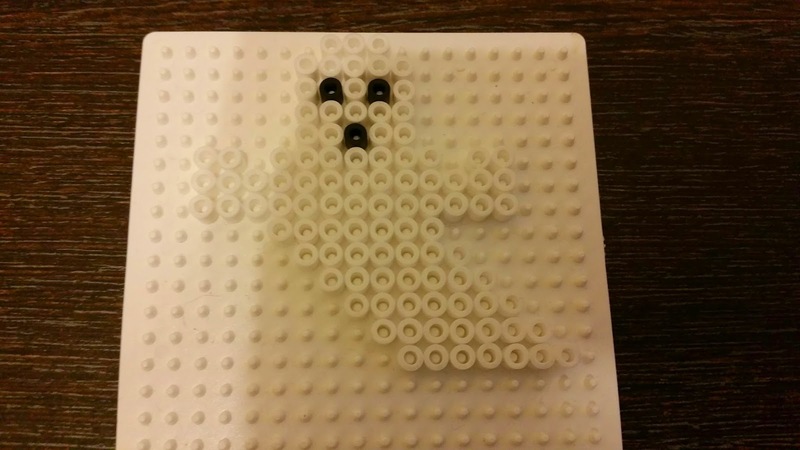 The ghosts are slightly more complicated but are really cool we made a few facing different directions and the kids love them. Win a Limited Edition Laduree Sonny Angel Figure! Snotty Children and Sleep Deprivation! Elsie: Six Weeks Old: The First Smile!